The clock is rapidly counting down now, with Christmas Day nearly upon us. The shopping centres are busy, and we want to help you avoid any last-minute panic. Who wants to go to the shops now? Be a shining star this Christmas by giving a carefully considered gift card from McArthur Natural Products. 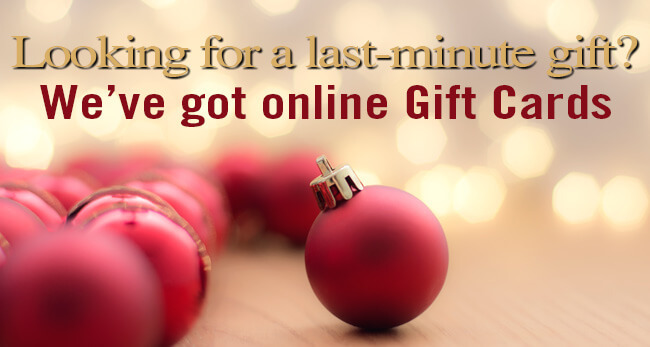 Even if you are on the way to visit the in-laws, pulling up in their driveway, and there are surprise guests who you have not planned for in attendance, you can immediately send one of our McArthur Natural Products’ Gift Cards from your mobile phone. Choose from five convenient denominations, the gift cards, along with your heart-felt message are sent immediately via email to the recipient and allow them to buy at any time from our online store the products that they are excited about! At McArthur Natural Products we refined McArthur Pawpaw Extract™ enabling us to create the only cream with 60% Pawpaw extract concentration. The McArthur Natural Products’ range of skin, body and hair care products all contain our unique McArthur Pawpaw Extract™. McArthur Natural Products stands behind the quality of our products with a Money Back Guarantee providing confidence and reassurance to consumers new to our range. Use any of the products from McArthur Natural Products and if you are not satisfied, return the item for a full refund under our Returns Policy. Save even more with FREE Shipping in Australia on orders over $80. Need help ordering? Phone 1800 729 729 during business hours to order over the phone. Looking for last-minute gift ideas? 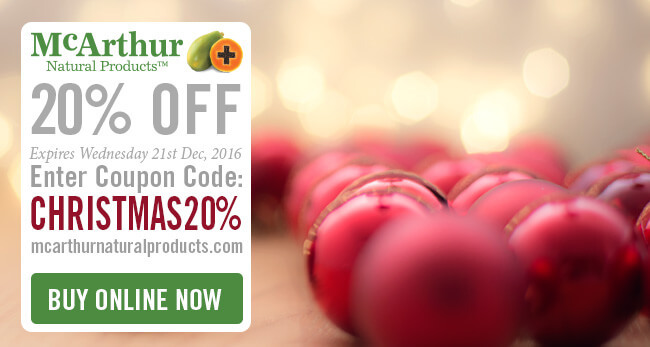 Be a shining star this Christmas by giving a carefully considered gift card from McArthur Natural Products online store.